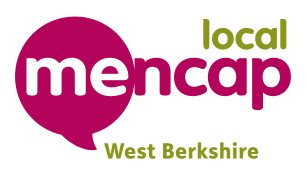 West Berkshire Mencap has plenty of volunteering opportunities for all ages, volunteering is fun and rewarding. We are always looking for enthusiastic people to volunteer to work with the children, you have to be aged 14 years and up, fill in a volunteer application form and subject to 2 references you will be invited in to have a look around, attend a brief training session and meet some of the children. Playscheme – 9am-5pm the volunteers are required to be a one to one carer for a particular child for the day, to play and have fun with that child as well as accompany them on trips out. Active Zone – 3.30pm – 6pm (everyday except Thursday) to be a one to one carer for a child with special needs for the session. Funky Thursdays – every Thursday 6pm – 8pm the volunteers assist the teenagers in the running of their club, setting out equipment, helping with the tuck shop and assisting them on trips out. 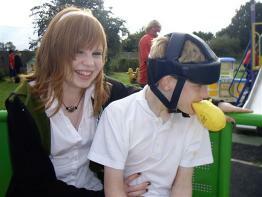 Why I like volunteering at Mencap. All volunteers fill in an application form and a CRB Disclosure application form. All volunteers are given training opportunities like first aid training, Epilepsy training. They are given a link-up volunteer guidelines booklet and an induction when they start so they have an understanding of what Link-Up is. All travelling expenses are paid. At the moment we have seven fantastic volunteers who give up their time to help in the work shop and job-placements, at Growing 4 All, supporting the service users while they are at Link-Up. One volunteer is a qualified accredited Executive coach who has been helping a staff member to build on confidence and to achieve their true potential. Each volunteer can give a couple of free hours one day a week or a few days a week it is entirely up to the volunteer as long we are aware when they are attending. 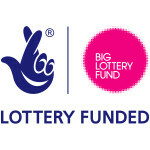 We have volunteers who help in the work shop which aims to provide a sheltered work skills training provision for adults with learning disabilities. A volunteer can give a one to one support to a particular service user who may need extra help with their work this could be showing them different ways to do a job for example book tasseling, they may need help to twist the tassel or to put it into the packet by giving them this extra support it can build on their confidence and for them to achieve their goals. An extra pair of hands in the work shop is much appreciated especially when we are extremely busy. As part of our commitment to providing the opportunity to experience work we have a job coach programme that seeks to match up service users with local work opportunities. This enables them to participate in job tester sessions and job placements. Vast majority of placements are supported by job-coach’s and trained volunteers who provide support and guidance to the individual. At the moment we have placements ranging from working shop assistant in Budgens and Tadley pet supplies to working at the Newbury library and being a chambermaid at Donnington Valley Hotel. 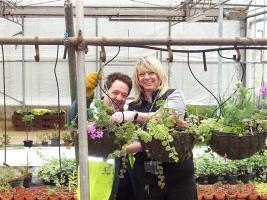 Our other project is growing 4 All which is based at Cottismore Garden centre, Kingsclere. Where they have their own green house and produce some wonderful plants, and gain new skills.